UK: Utilities J-Power and Kansai Electric Power (Kepco) have bought a 41% stake in Innogy's subsidy-backed 860MW Triton Knoll offshore wind project for an undisclosed fee. J-Power will own a 25% stake in the project off the UK's east coast, while Kepco takes on 16%. It is the first time a Japanese utility has invested in an overseas offshore wind project, the two firms said. The companies agreed not to announce the value of the deal, however J-Power will source funds "by issuing preferred equity to [the] Development Bank of Japan", Innogy said. The transaction is expected to close in Q3 2018, with financial close on the project due shortly after. Innogy said the project would cost roughly €2.3 billion. "As the leading provider of wind power in Japan, we are very proud of entering into this overseas offshore wind power project, which is a first for a Japanese electric power utility," said J-Power managing director Makoto Honda. "We are actively continuing to develop new wind power projects, both in the domestic market and in the overseas market," Honda added. J-Power has developed around 500MW of wind capacity in Japan and Poland. Kepco, meanwhile, operates 18MW in Japan. 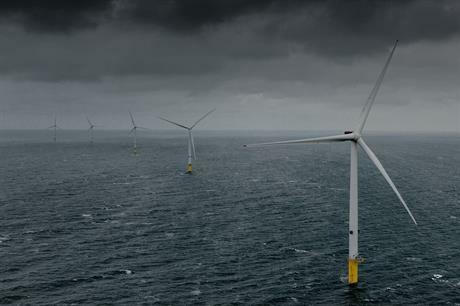 Market analyst KPMG, lead financial adviser for Innogy, said this first move by Japanese firms in European offshore wind could mark the start of an influx from Asia. Adrian Scholtz, energy corporate finance partner at KPMG, said: "Europe's major energy companies are seen by both Asian strategic and financial investors as valuable partners at the cutting edge of offshore wind technology; and can meaningfully assist in opening up the enormous market opportunity in Asia." "We fully expect this trend to continue, with the UK remaining a very attractive market for Asian investors, as they look to build globally integrated businesses." Triton Knoll secured a contract for difference (CfD) support deal in the UK's second auction round in September 2017. It will receive £74.75/MWh (€83.62/MWh) when it begins producing power in 2021 and will feature 90 MHI Vestas V164 9.5MW turbines. In October 2017, previous project partner Statkraft sold its 50% stake to Innogy as part of its exit from offshore wind. At the time, Innogy said it would look at "all options" about ownership of the site.